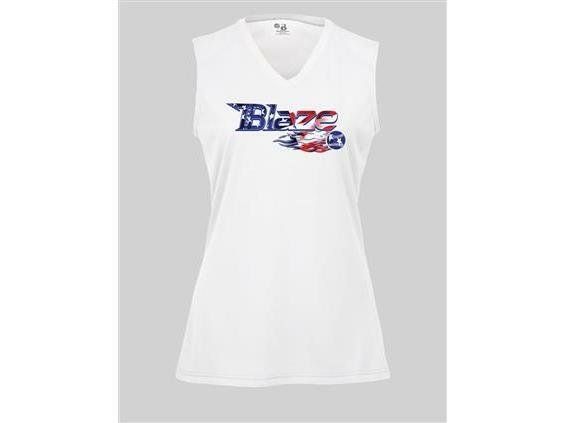 Ladies fit, 100% polyester performance shirt with a v-neck. Additional $3 for 2XL. Name and number are included in the price. Consult chart below as a size guide.